The Best Spy Phone Software For Spying On Instant Messaging Is The One That Captures The Most IM’s! Social messaging applications like Facebook and Whatsapp, have replaced SMS as the preferred way to chat to friends. That’s because, unlike SMS, they are free, not to mention IM is more fun as it lets you send stickers, pictures and other rich media as part of your message. For example, sending a cute kitten sticker, or a smiley with love heart eyes, will put a smile one even the sourest of faces – right? That’s why it’s clear that if you really want to understand someone’s secrets, you NEED to be able to spy on as many instant messaging applications as possible— the chances are extremely high that they will be using one, if not several, social messaging applications. All of our competitors advertise that they capture instant messaging but how do you measure which software actually captures the most instant messaging content for your money? 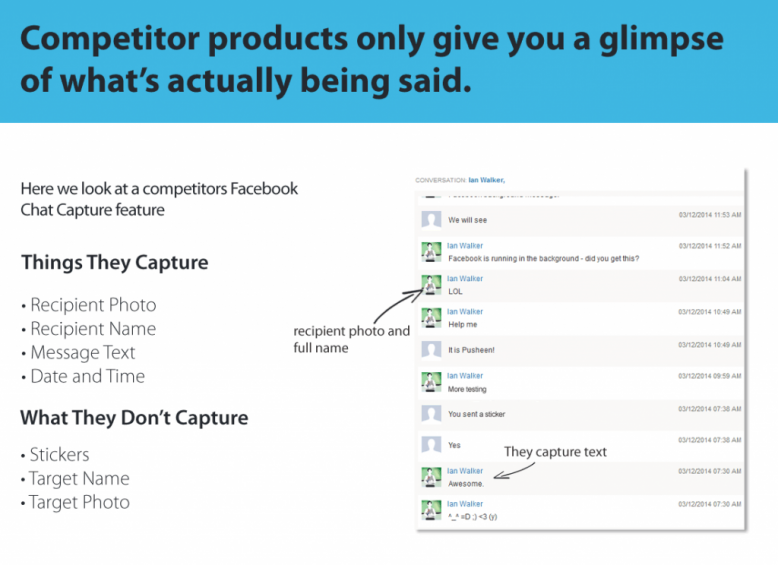 As the picture to the right shows, with some competitors, important details are missing from the captured Facebook conversation — the missing information could be vital to understanding the whole conversation. 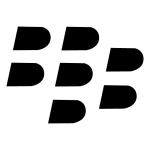 And how do you know what really is the best spy phone software if you want to spy on Whatsapp, Facebook, Viber, Skype, and other popular IM apps? To answer this, we looked at the competition like mSpy, MobiStealth, and Mobile Spy and counted the actual number of instant messaging apps that they could spy upon. We looked at how they displayed the data—did they present it the way it was actually displayed on a mobile phone, or did they use a simple grid which makes it hard to understand the flow of the conversation. 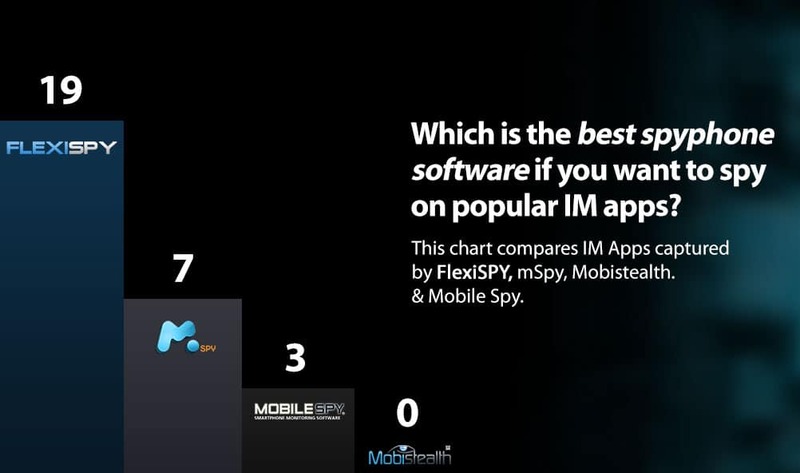 FlexiSPY supports more social media and instant messaging programs than any other competitor. Mobile Spy does not capture emoticons for Whatsapp and Mobistealth failed to capture any IM programs at all. What’s more FlexiSPY is the only spy phone software which displays the instant messaging conversation inside the online account just like it appears on the actual phone itself. No other competitor offers this level of detail and compatibility capturing instant messaging, as shown in the detailed chart below. But rather than resorting to hyperbole or superlatives, we simply look at the facts and can say that when it comes to spying on Facebook, Viber, Whatsapp, Skype, iMessage, BBM, PIN, Wechat, LINE, FlexiSPY is scientifically the most powerful. So why not head back over to the main site and explore everything that FlexiSPY can do for you?